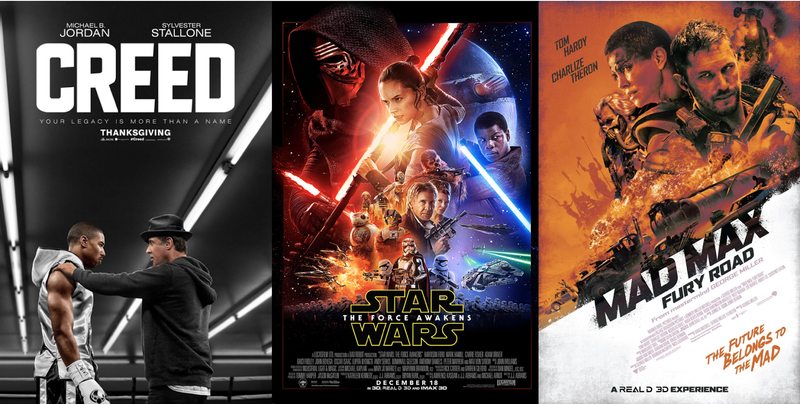 2015 was a good year for movies. It was a busy year for me. Normally, I would publish my Top 10 list in middle-to-late December, depending on when films are made available, but as it turned out, that just wasn’t in the cards this year. In 2015, I completed two college degrees – my Bachelor of Arts and Master of Arts – the latter of which involved writing a Master’s Thesis, a project that ballooned upwards of 200 pages and ate up a whole lot of my time. That workload – combined with the general sense of fatigue I wrote about when I reviewed Star Wars: The Force Awakens – meant that for the first time in the eleven years I’ve been writing about movies, I simply did not write many reviews this year. I saw plenty of movies, sure, and probably could have made a halfway-decent top 10 list a few weeks back, but there were also lots of movies I missed in the thesis/graduation scramble, films I needed to catch up on before sitting down to write a Top 10 list I could feel confident about. But I did want to write a Top 10 list. This is one of my favorite articles to sit down and write, year in and year out. It is fun to reflect on the best art experienced over the past twelve months, certainly, but the process means more than that to me. A Top 10 list is a personal statement, not an empirical or objective process, and in undertaking it, I learn things about myself – about my tastes, about how I have evolved, about where I was this year, and how all those things intersect with cinema to create unique and personal experiences. It is the same reason I enjoy reading other critics’ Top 10 lists; you learn about the person, and about which films meant most to them, and you glean a different perspective on the year in film that you might otherwise have. So what of the films of 2015? Personally, I think this was a year with pretty incredible pockets of depth, even if there was perhaps less breadth overall than there have been in recent years. A perfectly fair trade-off, I think, especially when you look at the sheer magnitude of some of the masterworks released this year, and the extraordinary power of certain towering films. To me, 2015 was a year full of pure emotional experiences. I look at the films on this list, and I see movies that just wrapped me up and swept me away on waves of emotion and feeling, all-enveloping experiences that were alternately exhilarating and damning, destructive and life-affirming, in some cases all at the same time. The commonality between these films is how intensely each of them made me feel, and that idea wound up being my North star as I picked these ten titles and worked on the final arrangement of the list. As always, this Top 10 list is really only the tip of the iceberg in terms of year-end content. I will also have my traditional second-10 ‘runners-up’ list posting in a few days, and I will also be sharing my ballot in the Denver Film Critics Society voting, just so we can explore various corners of performance and craft in the year that was 2015. And Sean and I will be recording the first podcast of 2016 any time now, in which we’ll be sharing a whole lot of lists and year-end reflection to kick off the new year. So the site will not be lacking for content in the coming days. 2015 was an incredible year for female characters in film, and as I work on my ballot for the Denver Film Critics Society awards, I am actually finding it easier to list great performances by women than I can great performances by men, a rare occurrence in American cinema that is absolutely worth celebrating. At least half of the films on this list feature great female protagonists, and for this #10 spot, I spent a long time agonizing over a decision between two films built upon glorious acting duets between women: Todd Haynes’ exquisitely mounted Patricia Highsmith adaptation Carol, and Alex Ross Perry’s wonderfully bizarre 70s psychological drama throwback Queen of Earth. The latter is the slighter of the two films, no doubt about it – Queen of Earth is a slight, small film any way you look at it – but sometimes, a moment can make all the difference, and if I were ranking favorite scenes of 2015, Elisabeth Moss’ steely, precise, terrifying, and above all else cathartic outburst at the climax of Queen of Earth would rank very near the top. I’m a big fan of the rest of the film too, of course. My tastes lean toward the weird, and Queen of Earth has eccentricity to spare, its largely non-narrative action driven by the contentious friendship between two women – Elisabeth Moss and Katherine Waterston – who retreat to the latter’s lake-house after the former suffers a string of personal blows. Making concrete sense out of their behavior is more or less impossible, and the film is much more interested in atmosphere than it is incident. Thankfully, that atmosphere is so thick you could cut it with a knife, the thoughtful and gorgeous 16mm cinematography and endlessly tense musical score placing us square in the mindset of Moss’ clinically depressed, possibly psychotic character. As an experience, Queen of Earth is one of the year’s most enveloping, a suffocating descent into emotional confusion that I love for many of the same reasons I treasure Lars von Trier’s Melancholia. If you’ve ever felt anything remotely like this, it is strangely cathartic to see a filmmaker commit so fully to lay it all bare on screen, cold and sardonic and disturbing. And then there’s that climactic monologue. My god, that monologue. I feel like I could interpret it in a dozen different ways and still love it just as much, and if it isn’t the most badass thing Elisabeth Moss has ever done, that’s only because Mad Men gave Peggy that awesome entrance earlier this year. Like I said, Queen of Earth is a small, slight, and more than likely alienating film, but if by some chance you find yourself on the same wavelength, it’s also something of a knockout. Queen of Earth is now available on DVD and digital HD. The Hateful Eight is among my least favorite of Quentin Tarantino’s films overall, but when you’re a filmmaker with as absurdly high a batting average as Tarantino, that really doesn’t matter much. I have problems with the ending, which is either excessively misogynistic or excessively misanthropic. I think the first half, before the intermission, is overall much stronger than the second, and that once the tension inevitably snaps, the film never quite reaches the same heights. But I also think this film contains reams of some of the best dialogue Tarantino has ever written, his decision to finally, fully indulge his American Western tendencies resulting in a veritable symphony of language and character. It is also among his most technically accomplished works, the 65mm, ‘Cinerama’ photography by Robert Richardson consistently breathtaking from beginning to end, whether in capturing the snowy vistas of Colorado (has any filmmaker ever shot our great state better?) or in framing the interior action at Minnie’s Haberdashery, one of 2015’s greatest triumphs of production design. Thanks to Ennio Morricone, who delivered a stone-cold classic score decades after he last composed for a Western, it is one of Tarantino’s best sounding movies as well. 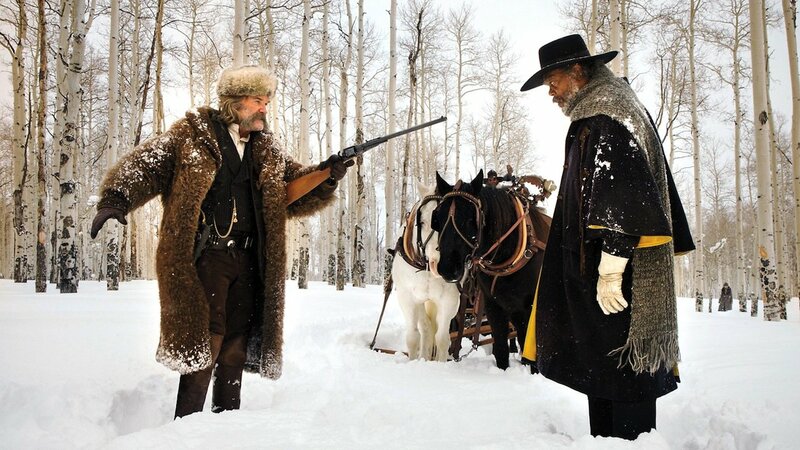 And with a cast comprised of Samuel L. Jackson, Kurt Russell, Walton Goggins, Demian Bichir, Tim Roth, Michael Madsen, Bruce Dern, James Parks, and Jennifer Jason Leigh, every last one of them doing positively outstanding work, and some at or near their career best, The Hateful Eight isn’t just Tarantino’s most powerfully acted movie, but the best ensemble of 2015, period. So yeah. A movie can stand to be pretty massively imperfect when it has all those elements working in its favor. And the truth is, The Hateful Eight is only imperfect enough to knock it down a few pegs in Tarantino’s personal canon. As a film, it’s pretty damn great, and easily one of 2015’s best. The Hateful Eight is now playing in select theatres. Larson is outstanding, every moment of her performance wavering on that unfathomable edge between strength and emotional collapse, but the film belongs to Jack, through whose eyes every beat of the story unfolds. However one conceives of the character working – owe it to Abrahamson’s direction, Larson’s guidance, Tremblay’s completely unaffected screen presence, or some magical combination of the three – this is one of the most naturalistic child characters to ever grace cinema, and the film works because we discover (or re-discover) the world right alongside him. This is the rare film that simply grows richer and more engrossing the further it goes along, the more it sheds any semblance of outward plot or urgency and simply envelops us in the emotional highs and lows of these characters; the more it does so, the more profound it becomes, and in telling a tale of rebirth and survival, rather than one of sorrow and destruction, the film finds light in the darkness, a light that is powerfully illuminating and inspiring. 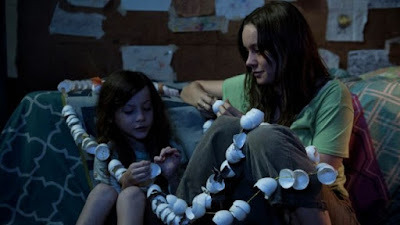 Room is now playing in select theatres. It honestly wouldn’t have taken much for me to come out of Robert Zemeckis’ The Walk grinning like a madman, for there are few true stories I love more than that of Philippe Petit and his mad, magnificent drive to hang a tightrope between the two towers of the World Trade Center. Back in 2008, James Marsh’s landmark documentary Man on Wire had a prominent place on my Top 10 list, and it has only grown in my estimation over the years. The story speaks to so much of what I find fascinating and inspiring about the human condition, to the things that produce wonder and reverie inside our hearts, and which in turn compel us to share that wonder with others. I think this is a story that shall be worth telling and re-telling for as long as mankind aspires, for anything and for everything, and just hearing it again, in any form, would probably have been enough to fill me with joy. But to make me cry, and to leave me exiting the theatre shaking with exhilaration and emotion? That was something I could not have anticipated. Zemeckis and company have not merely told a competent version of this tale, but brought it to life with a sense of awe and enthusiasm that breathes fresh life into the story, as though one is not merely hearing it for the first time, but experiencing it as it unfolds. It is a small but important distinction, but it makes all the difference in the world. If Marsh’s documentary stands as the historically reflective version of this tale, Zemeckis has created the whimsical storybook version, every scene realized with a sense of boundless creative enthusiasm that is more than justified by the eccentricities of its wonderful lead character, played to perfection by a go-for-broke Joseph Gordon Levitt (That accent! That glorious, silly, wonderful accent!). The film wears its heart on its sleeves, but that heart is big and strong and beautiful, and by the time the eponymous walk arrives, Zemeckis and company have more than earned all the big emotions Petit’s grand performance asks of us. That the walk is realized so beautifully – this is the greatest visual effects achievement of the year, a seamless and immersive dive into one of mankind’s most spectacular true stunts – is almost beside the point. It’s the moments leading up to that walk, that glorious anticipation before the first step, that matters most. In both the documentary and Zemeckis’ film, Petit describes his ‘coup’ as a work of art, but until seeing the walk realized this fully, I do not think I understood just how fully this was, indeed, art. And it isn’t the beauty of the sky at sunrise, or the splendor of the city far below, or the architectural marvel of the towers themselves, or any of those other details that Zemeckis’ special effects so incredibly breathe back into life that made Petit’s walk ‘art’: It was the simple action of doing it, of putting both feet onto that wire, suppressing all fear, and committing himself wholly to living and reveling in that moment, no matter the danger or the potential cost. It was all of those things and none of them, something Zemeckis illustrates beautifully in an expressive series of images before the walk begins, when we see inside Petit’s mind as he slowly drowns out every image but the wire itself; and when he steps onto the wire, and the world returns all around him, I could not help myself. I wept. It produced in me an emotion only the greatest of all art can. And for that, The Walk is one of those films I will treasure always, and look forward to sharing with others in the years to come. 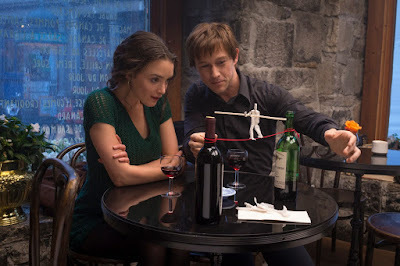 The Walk will be available on DVD and Blu-ray January 5th, and you can read my full review of the film here. 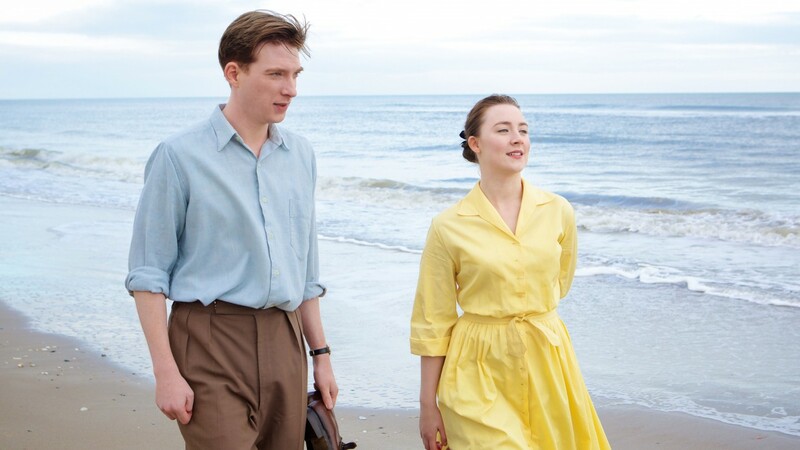 Perhaps the gentlest of 2015’s great movies, John Crowley’s Brooklyn is an achingly beautiful character piece, deceptively complex in how effortlessly it evokes a place and time and culture, and utterly enveloping in how completely it charts the emotional evolution of a young woman. This is a film rich with big ideas – about forging an identity, about what it means to make a home, about the dualistic internal and external nature of immigration, etc. – but its brilliance lies in the way the story funnels all those concepts through the progression of its remarkable lead character, Eilis, a young woman who starts the story as a virtual blank state, someone who doesn’t know who she is or what she wants or who she wants to be, and who gradually evolves into a confident adult bursting with personality and character. Brooklyn is a gloriously slow-paced movie, its character development coming glacially but felt deeply, and it is all propelled by the extraordinary Saoirse Ronan, who delivers the most fully-realized cinematic performance of 2015. And with its quietly immersive production design, outstanding supporting performances, and luminous musical score by Michael Brook, there are few films this year more compelling or enjoyable to simply spend time with; Brooklyn could have continued for another two hours or more, and I would have been happy to watch – even if the note it ends on is so pitch perfect, I find it hard to complain about any facet of the experience. Brooklyn is now playing in select theatres. The first Top 10 list I ever wrote was in 2006, and that year, I proudly placed Sylvester Stallone’s triumphant comeback Rocky Balboa at the top of my list, unaware that I was surely one of the only people doing so. Oh well. Nine years later and it’s not a decision I regret in the slightest, as the original Rocky remains one of my favorite movies, and as its best and most substantial sequel, Rocky Balboa proved there were deep wells of dramatic and emotional value left to be tapped by returning to that world and those characters. It’s a notion clearly shared by Creed director Ryan Coogler, who has taken one of the single most absurd moments in the entire Rocky saga – the hubristic death of Apollo Creed in Rocky IV – and used it to construct an absolutely flattening story about absence, legacy, identity, and self-worth, a film in conversation with Stallone’s classic films but with an energy and impact entirely its own. Michael B. Jordan proves himself every bit the movie star those of us who have followed him on shows like The Wire and Friday Night Lights always knew he would be, and the interplay between him and Sylvester Stallone – who has never been better than he is here, as a Rocky staring straight into the void – makes for one of the great on-screen duets of 2015. 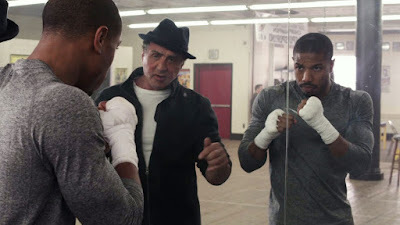 Coogler and his collaborators lend the film a level of technical polish the likes of which the Rocky films have never seen before – the cinematography, in particular, is just masterful and invigorating from start to finish – but it’s the energy and enthusiasm they bring to this world and this story that matters most. From the quiet moments spent exploring different corners of Philly to the electrifying choreography of the fight sequences, Creed, like its title character, feels like it’s a movie with something to prove, a sense of vitality that is positively infectious. Were it socially acceptable to do so, I would have spent the last fifteen minutes of the movie on my feet, clapping and cheering and probably crying in equal measure, and few films this year left me as thoroughly electrified as this one. Creed is now playing in theatres everywhere. I run hot and cold on Aaron Sorkin in general, but this exquisite character study may be my favorite thing he has ever written, a brilliantly constructed cinematic stage play so gleefully unattached to the literal details of history that it frees itself to find the heart of one of contemporary America’s greatest legends. Told in three (mostly) real-time acts, each taking place just before the launch of one of Jobs’ products, the film is not a linear biopic, but an internal dream brought to life, where the most important figures from Jobs’ life story continually circle around him, his biggest regrets, mistakes, and character flaws haunting him like ghosts. It is the greatest, savviest screenplay of the year, and those who accuse the film of misrepresenting history or negatively smearing its title character are missing the point so completely it baffles me. This is one of the most human works Sorkin has ever penned, and in so completely tearing apart the character’s biography and reconstructing it into this representational screen story, Sorkin has crafted a character portrait so complex it demands empathy for Jobs; and in my experience, at least, genuine sympathy shines through by the end as well. But that’s just the script – what about the film itself? It’s easy for me to imagine a dozen different stagings of this project, in theatre or on film, but it’s hard to picture a better production than the one realized by Danny Boyle, who has an absolute field day bringing Sorkin’s words to life, imbuing every moment with a positively electric sense of energy. The cinematography is one of the film’s masterstrokes, with each of the three segments shot, respectively, on 16mm, 35mm, and finally digital, all of it blocked to perfection and edited like a great thriller or action film. The performances are uniformly outstanding – Kate Winslet, Katherine Waterston, Jeff Daniels, Michael Stuhlbarg, and especially Seth Rogen do knockout work in this – but the film belongs to Michael Fassbender, who does not attempt to imitate Jobs’ voice or physicality, and instead focuses on building an honest-to-God character. Build it he does, and if we didn’t already have enough proof that Fassbender is one of our finest working actors, Steve Jobs is bursting with evidence. On a surface level, this is absolutely one of the year’s most entertaining films, and that alone gets it a spot on this list; but I think Steve Jobs goes deeper than that, and is smarter than that, and in exploring the shared spaces of ego, genius, and cruelty, it says something rather profound about the human condition. Whether one loves Jobs or hates him, what more could one ask for than that? 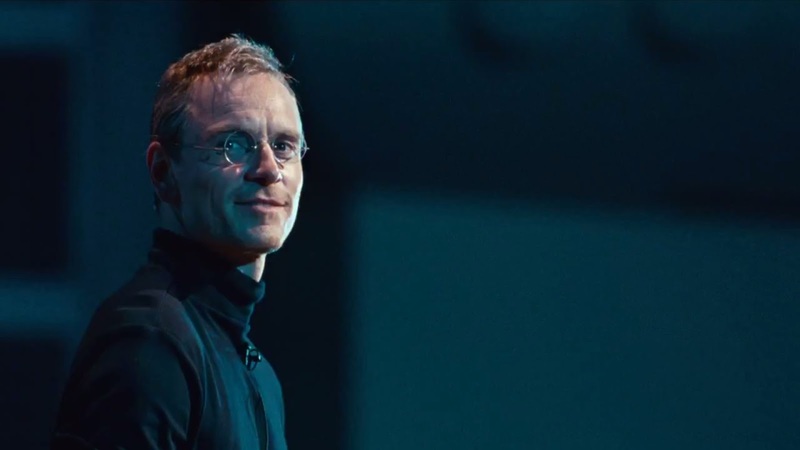 Steve Jobs will be available on DVD and Blu-ray February 16th. Here is a movie I tried very hard to write about when it was released, and found myself stumped by. Inside Out is a film I love desperately, to me the most ingenious and resonant work Pixar has ever created, and while I can certainly list off a bunch of things it does well – that expert sense of world-building, the miraculous way it makes its big ideas accessible without dumbing down the story or themes, those great characters and glorious vocal performances, that lovely score from Michael Giacchino, etc. – I always find myself struggling to explain exactly why the overall package hits as hard as it does. What I always return to is the word ‘catharsis,’ for what Pete Docter and company have done, in creating a fantasy world wherein our most basic emotions are personified, is to find a way to understand those moments in which we’re not sure what we feel in the first place. To me, the most impactful periods of emotional duress rarely have anything to do with emotional extremes of happiness or sadness, but with something in between, with those emotionally confused moments where I am not sure what or how to feel, or if I feel anything at all. Inside Out is about a formative experience, about the first time in a child’s life when an emotional crisis is allowed to intrude, but it is a truly universal story, genuinely pitched at all possible ages, and it is absolutely cathartic to see our own emotions explained and laid bare in this strange fantastical setting. The highest praise I can give the film is that I felt I understood myself a little better walking out of it than I did when I walked in; that is the ultimate goal of all art, I think, and it is the ultimate achievement for a studio that has always chased this sort of sensation. 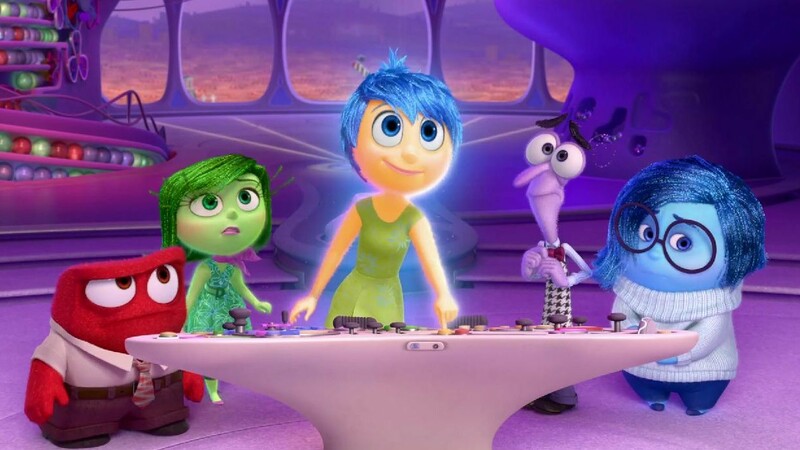 In a year where Hollywood seemed unexpectedly generous, giving us more mainstream classics than are typically allowed to exist in one calendar year, Inside Out may be the most astonishing, for I struggle to think of another mainstream movie, whether aimed at children or adults, with a message as simultaneously simple and radical as “it’s good to feel sad sometimes.” It is good – and the tears shed during Inside Out are some of the most healing I felt all year. Inside Out is now available on DVD and Blu-ray. 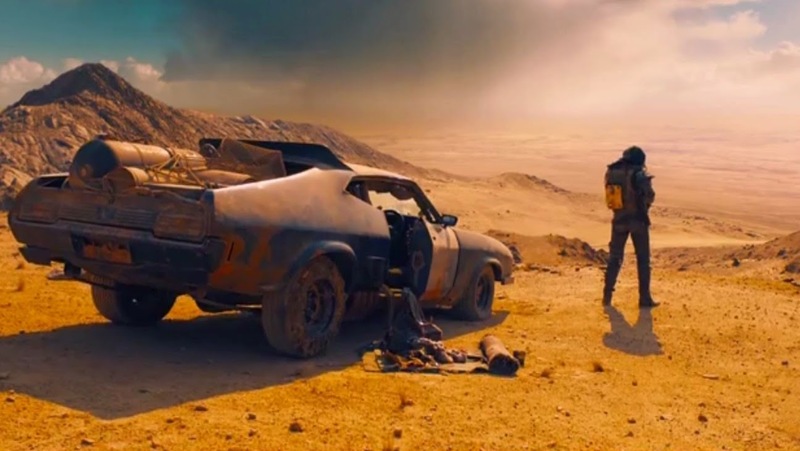 If I chose to make this list a ranking of the ‘best’ films I saw this year, taking only perceived quality into account, Mad Max: Fury Road would easily be at Number 1, because the insane action masterpiece that George Miller has crafted is without question the major cinematic achievement of 2015. A pure expression of cinematic vision unlike anything mainstream cinema has offered in recent memory, Fury Road is among the most ambitious, strange, and accomplished Hollywood blockbusters to come along in my lifetime. Shot after shot, sequence after sequence, awe-inspiring image after awe-inspiring image, I can honestly say I have never laid eyes upon anything quite like Fury Road, certainly not in a mainstream American multiplex, and that is such an immensely rare sensation that even after catching the film three times theatrically, and having my thoughts return to it many times throughout the summer and fall, I can hardly believe the film exists. Miller has masterfully blazed his own trail here, crafting a work that is every bit as symphonic as it is bombastic, its perfectly paced action-oriented storytelling constructed on a foundation of deep, richly realized world-building, its every set-piece shot through with expert character work and meaningful thematic weight. From the way it looks to the way it moves to the way it sounds, to how it crafts an archetypal story that simultaneously challenges the history of Hollywood genre representation, Fury Road is defiantly singular, and cinema is so much richer for its existence. If it isn’t my #1 film of the year, that is only because one other film hit my heart harder. When it comes to the accomplishment of cinematic craft and storytelling, though, I can confidently say nothing this year wowed me more than Mad Max. Mad Max: Fury Road is now available on DVD and Blu-ray, and you can read my full review of the film here. This is my ninth year writing and publishing a Top 10 Films list, and that means I have had a lot of time to think about what it means when I call a film my ‘Number 1’ movie of the year, or what I look for when undertaking the simultaneously daunting and silly task of ‘ranking’ my favorite cinematic experiences. And when it comes to my number 1 spot, what I have realized is that it cannot be about trying to determine which film was the empirical ‘best,’ or which was the smartest, or which the most artistically accomplished, or even which one felt like my personal ‘favorite.’ All of those concepts are too fluid and vast to quantify. What I can narrow it down to is to ask myself which cinematic experience meant the most to me in a given year, which film I am most likely to carry with me and continue treasuring beyond the confines of these twelve months. And in 2015, that makes this choice an easy one. Because 2015 was the year we got a new Star Wars movie. An honest-to-God Star Wars movie, a terrific Star Wars movie, as fresh and exhilarating as the movies I fell in love with as a child. And it was positively magical to watch unfold. What other film from 2015 could I possibly treasure more? There is a passion to this film that endears it to me endlessly. Creative passion is one of those elements that is hard to pinpoint, but is always apparent when one sees it. Equally obvious is its absence. When a film is phoned-in, a corporate product made only to fill a box on a spreadsheet, rather than to fulfill any genuine creative desire, it is always painfully obvious, and those are always the films that feel the most deadening to watch. It’s how I would describe this year’s wretched Jurassic World, if we’re comparing recent cinematic nostalgia trips. But when a film is made with passion? When a film is born from a massive amount of pure creative energy, from a group of collaborators fueled by the electricity of cinematic possibility? You can feel that even more strongly, and it is a feeling like no other. It is magic, pure and simple, and it’s the reason we go to the movies. Star Wars: The Force Awakens is absolutely an act of magic, one that hit me every bit as hard as the original Star Wars films did when I was young. It feels as pure, distilled, and powerful a version of Star Wars as A New Hope, not as an introduction to this world but as a reintroduction, as a thrilling homecoming that honors the past even as it embraces all sorts of meaningful change. It captures the heart of what makes Star Wars special even as it interrogates that heart at every turn, questioning and expanding upon our understanding of the Force and other fundamental Star Wars ideas in ways that make this world feel richer and more profound. It has a tremendous amount of fun, staging a big, breathless pulp adventure on the sort of scale George Lucas himself could only dream of in 1977, but it does so with a respect for and interest in character, theme, and world-building that feels decidedly old-fashioned, explicitly rejecting many of the tired ‘Chosen One’ conventions and overly expository plotting that have unfortunately became standard in the 38 years since Star Wars first debuted. The Force Awakens is birth and re-birth, fresh and nostalgic, a revisitation and a reimagination, all at the same time, and it is realized with absolute, unquenchable passion from every single member of the cast and crew – from the enthusiastic direction of J.J. Abrams, to the lovely 35mm cinematography by Dan Mindel, to the tremendous musical score by John Williams, to the marvelous appearances by veterans Harrison Ford, Carrie Fisher, and Mark Hamill, and throughout the wonderful performances by newcomers John Boyega, Oscar Isaac, Adam Driver, and especially Daisy Ridley, who has crafted a heroine for the ages in what is essentially a Hayao Miyazaki protagonist brought to life. Top to bottom, this is a passion project, plain and simple, and while it belongs to a miraculous trend of other passion projects being realized on a giant Hollywood canvas this year, it is working with a far more intense and far-reaching cultural legacy, and its emotional impact is proportionally vast. Is it the greatest or most perfect film of the year? No, but to me, it was absolutely the most meaningful, because I felt things watching this movie that I have not sensed in a theatre in a long time. I felt the magic again, that same magic that made me fall in love with cinema in the first place, and in a year where I started to feel like parts of my own cinematic journey were perhaps coming to a close, The Force Awakens opened the door and pushed me back through. 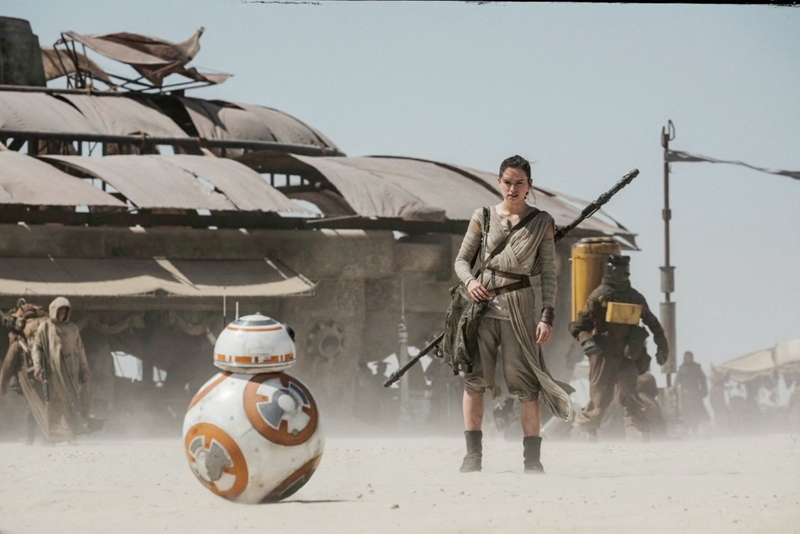 Whatever comes next, for Star Wars or for me, The Force Awakens is a film I will treasure for years and years to come. Star Wars: The Force Awakens is now playing in theatres everywhere, and you can read my full review of the film here.